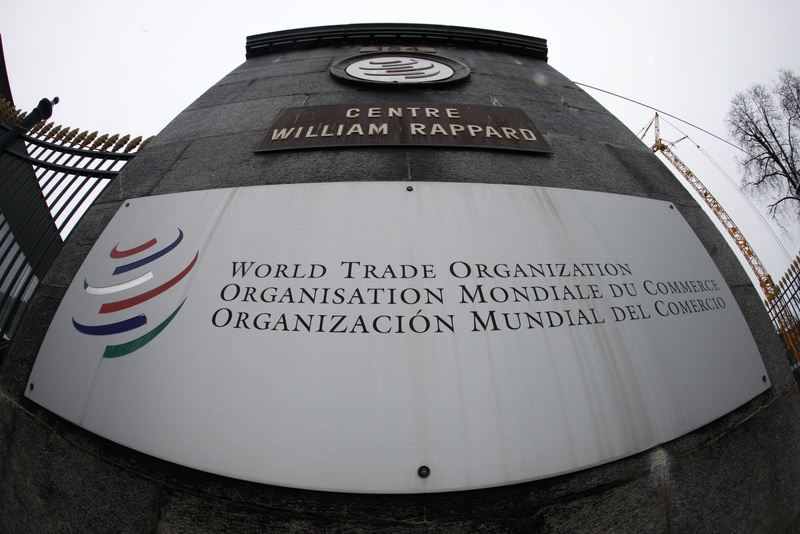 The World Trade Organization WTO logo is seen at the entrance of the WTO headquarters in Geneva April 9, 2013. The World Trade Organization’s Appellate Body is down to three members after the United States in September rejected a petition to reappoint a fourth judge. The WTO appeals system is designed to have seven judges, with three chosen for each case. Terms for two of the judges, American Thomas Graham and Indian chief judge Ujal Singh Bhatia, will end in December 2019. China's Hong Zhao’s term ends in November 2020.